Meet at the car park BH15 4LR (the postcode won’t take you right down to the car park – look online for Poole Harbour Canoe Club, which is in the car park, or for the sign down to the car park off Lake Drive). 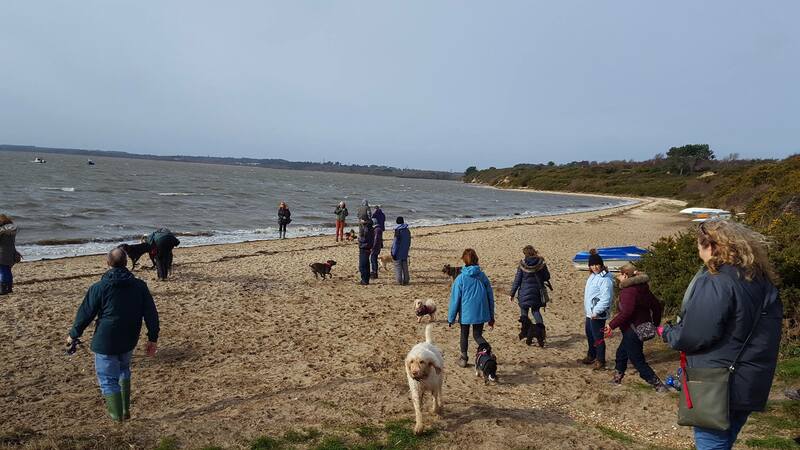 A circular guided walkies along the off-lead beach then returning over Ham Common heathland paths – we’ll have beautiful views over Poole Harbour towards the Purbeck Hills. Zoe, a local ranger, will be joining us to tell us more about Ham Common and the wildlife there. Lake Pier beach is off lead all year round for responsible owners who respect other visitors as well as picking up the poop, on the heathland we’ll be keeping our dogs on the paths with us as there are rare types of birds and reptiles breeding at this time of year. There is a run of steps between the beach and common the walk is suitable for children but this one is not accessible for wheelchairs or pushchairs. Message us via our Facebook page if you need more details or just meet us there! Dorset Dogs walkies are free, fun and friendly – with or without dogs – you’re welcome!